Happy Fall! It seems like this is the first week that it’s really “here”…the Pumpkin Spice Lattes, the football, and the slightest coolness in the air at night. I can’t wait – it’s my favorite season! This week, I’m going to be highlighting some of my favorite finds of fall on the blog – everything from recipes to decorations to fashion. There is so much fun in fall – I want to show off some of my favorites! 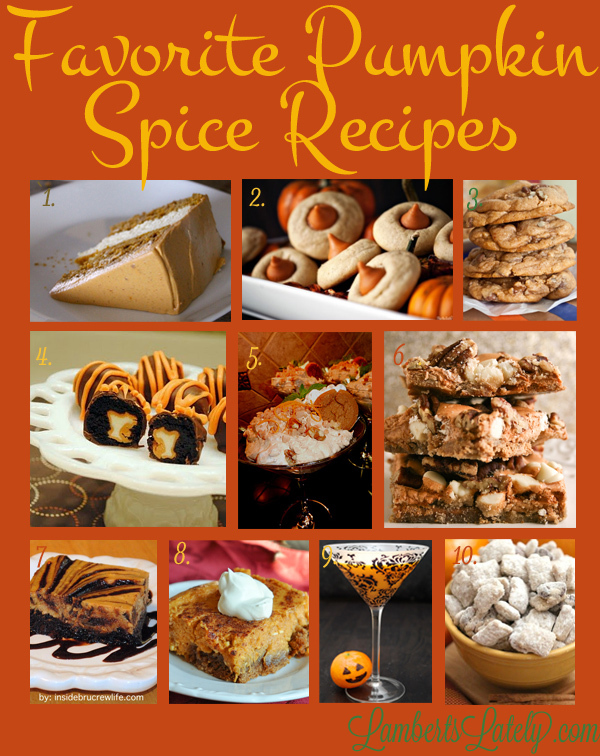 First up – Pumpkin Spice recipes. These seem to be all the rage lately. It’s such a versatile dessert ingredient! I was browsing Pinterest yesterday and came across a few fabulous recipes that I thought I’d share with y’all!